Blog>Types of Solar Panels Compared: Which are better? Types of Solar Panels Compared: Which are better? Do you often spot solar panels on the roofs of residential homes, commercial buildings or lamp posts? At first glance, you may notice obvious similarities like size and the visible grid pattern. But when you look a little closer, solar panels are, in fact, different. That’s right, there are different types of solar panels, and like most products, some are better than others. We’ll help you recognize the quality differences among the most common types of solar panels so you know what to keep an eye out for if you’re looking to install solar. First, you should know that there are two different types of solar energy. Photovoltaic (PV) and Thermal. With thermal solar, the solar panels act more as mirrors to direct sunlight to a specific location to generate heat. The more common type of solar energy is Photovoltaic (or PV), the process of converting sunlight into electricity to power homes or buildings. This is the type of solar you see on rooftops. According to the journal of Energy and Environmental Science, 90% of PV solar panels are made from two main types of solar cells, either monocrystalline or polycrystalline silicon. Silicon is a highly durable chemical element that converts the energy from the Sun into electricity. Although both types of silicon solar panels are used to produce power, there are pros and cons to both. Monocrystalline silicon solar panels are the most common and most efficient type of solar panel. 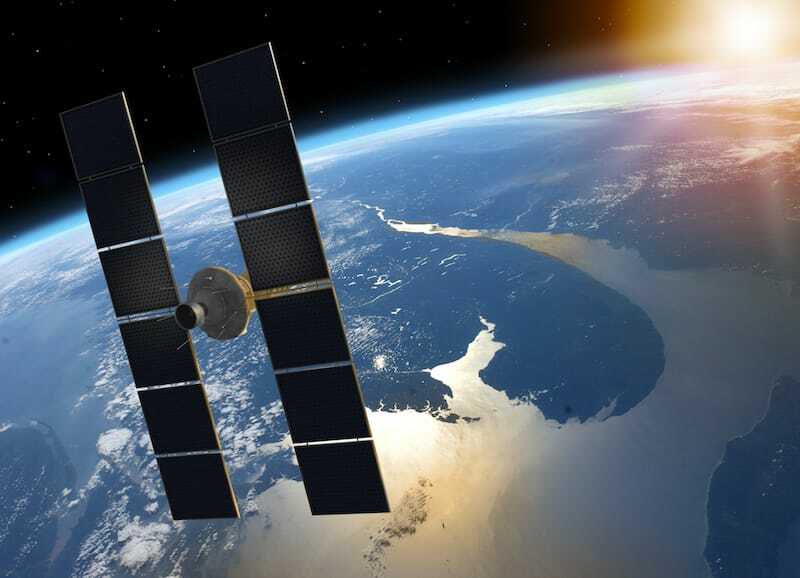 Monocrystalline silicon is made by taking a melted vat of silicon, adding a crystalline “seed” to solidify the silicon into bars, which is then cut into squares or “wafers” that make up a solar panel. This results in a high-quality crystal that’s similar to the crystals used in computer chips. The process of cutting wafers from the same bar make all of the wafers nearly identical. The term “mono” refers to the identical crystalline structures throughout the entire solar panel. This helps maintain consistency, which is what makes monocrystalline silicon solar panels so efficient. 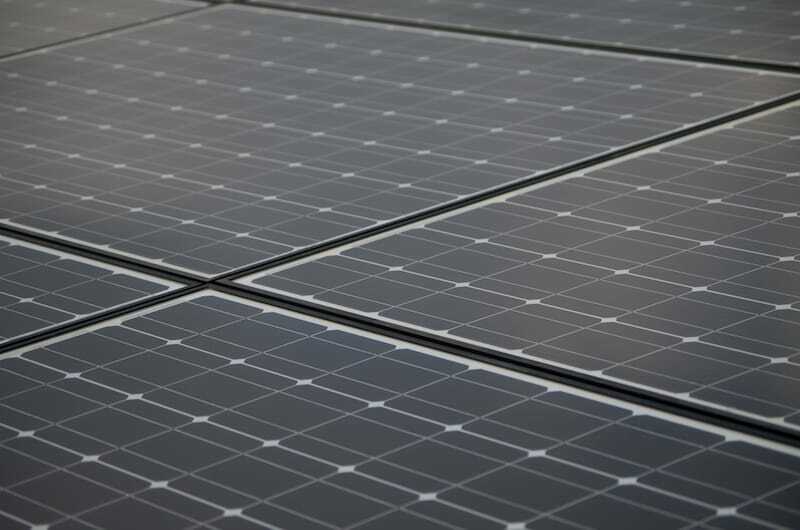 Monocrystalline silicon panels usually have solar cells that are not perfectly square but have the corners cut off as seen in the image above. This technique of “cutting corners” actually helps the flow of energy be even more efficient. Electrons travel along the “bus bars”, which is the silver lining you see in between the solar cells/wafers. By decreasing the sharpness of the corners of each solar cell, the electrons can travel through the panel more quickly. Besides looking at the shape of the solar cells, you should also notice the color of the solar panels. The darker the color, the more sunlight it will attract. Of course, more sunlight means more energy. So the darker the color, the more efficient the panel. While monocrystalline silicon solar panels are highly efficient, the efficiency comes at a price. They’re generally the more expensive type of solar panel on the market. The good news? Solar prices have decreased in the past 10 years, making solar more affordable, even for the higher quality solar panels. You can read more about the price of solar here. Polycrystalline silicon is similar to monocrystalline silicon but has fewer steps in its development process. The crystals used to solidify the silicon are not made at the same level of quality and are not as consistent as monocrystalline. These solar cells are square-cut (straight corners), tend to be a bit bluer in color, and look like they have shiny confetti inside. That blue “confetti” is the crystals used to solidify the silicon. The downside with this type of crystal is that there are imperfections or “gaps” where each of them meets or overlaps. Electrons get trapped in between the crystals, making their efficiency lower than that of monocrystalline cells. Because of this, polycrystalline silicon solar panels are often cheaper, but they can still produce sufficient amounts of power. 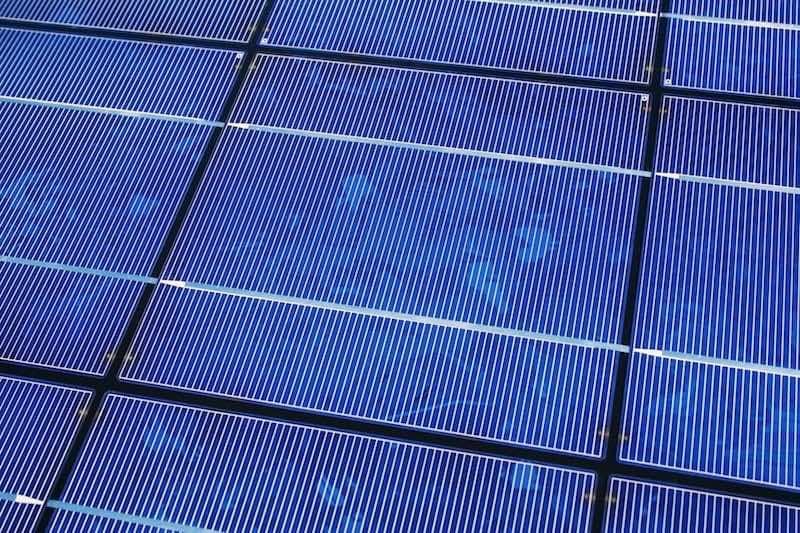 If you are on a tighter budget, polycrystalline silicon panels are a great option. There is also a specific subtype of both monocrystalline and polycrystalline solar panels called PERC, which stands for Passivated Emitter Rear Cell. With PERC monocrystalline or polycrystalline silicon solar panels, there is an extra layer added to reduce the number of impurities or gaps within each cell. The extra layer makes solar cells more efficient, which means more solar energy for you! So if you are looking into getting solar panels, you may want to consider asking solar companies if they provide solar panels with this extra layer. The most efficient, highest-performing monocrystalline solar panels today only convert around 20% of the energy that hits the solar panel into electricity. This is due to the fact that most of the light is inevitably wasted because it either bounces off the solar panels or is converted to heat rather than electricity. Multijunction solar panels, however, can have conversion efficiencies around 40%1. How? Multi-junction solar cells are designed with layers of different semiconductors that can each convert different wavelengths of light, meaning less light is wasted. These solar panels, while more efficient, are also extremely expensive. They are really only used in satellites and research labs today. It’s a fascinating technology, but we’re far from it being economical for residential solar panels. But hey! It’s really cool! While different types of solar panels look similar at first glance, it can be a bit more complicated when you dive into the technicalities. We try to make it simple. This information on monocrystalline and polycrystalline silicon solar panels can help you ask the right questions when talking with a solar consultant to make sure you are getting the right solar panels for your home. When talking to a solar consultant, we suggest asking about the lifetime and efficiency of the solar panels. Just because a company offers the cheapest solar panels on the market doesn’t mean those solar panels will be the best over time; and you’ll want something worth the long-term investment. We also recommend that you ask solar companies what they do for quality control on their equipment. Remember all that stuff about imperfections in solar panels and what they do to efficiency? If the solar panels aren’t quality checked you may not be getting the most bang for your buck. At Vivint Solar, we have quality control engineers that visit our manufacturers periodically to ensure our products are meeting our high-quality manufacturing standards. Vivint Solar uses monocrystalline silicon PERC solar panels as we believe that is the best, most affordable panel we could offer to our customers. Find out more about our products and offerings here. 1. Alharbi, Fahhad H., and Sabre Kais. “Theoretical Limits of Photovoltaics Efficiency and Possible Improvements by Intuitive Approaches Learned from Photosynthesis and Quantum Coherence.” ScienceDirect, Elsevier, 16 Dec. 2014, www.sciencedirect.com/science/article/pii/S136403211401048X.